Menzies Law > Brexit > Government reforms (3): BREXIT – The final chapter? Government reforms (3): BREXIT – The final chapter? The Home Office has published the White Paper on its post-Brexit immigration policy, available here. The White Paper sets out the proposed immigration regime that would apply from 1 January 2021, whether the UK leaves the EU with a deal or no deal. there will be no dedicated route for unskilled labour but, for a transitional period after Brexit, there will be a 12-month visa route for nationals of any skill level from specified low risk countries (with no option to extend, switch into other routes or bring dependants). While the changes will be welcomed by many employers, the lack of any dedicated route for unskilled labour may present challenges for employers in sectors such as hospitality, agriculture and manufacturing. The Government has launched a tool to assist businesses in their preparations for the UK leaving the EU, available here. The purpose of the tool is to help businesses find out what they should be doing to prepare for Brexit, what changes are occurring in their industry sector and information on specific rules and regulations. The tool asks users seven questions about the business, such as industry sector, extent of any cross-border trade, employees in other European countries and use of personal data. Users are then directed to previously published guidance relevant to their particular circumstances. The Department for Digital, Culture, Media and Sport (DCMS) has published guidance (available here) relating to its proposals on how the UK data protection regime will work in a no-deal scenario post-Brexit. DCMS intends to incorporate the regime under the General Data Protection Regulation into UK domestic law by making appropriate changes to the Data Protection Act 2018 (DPA 2018). It is the Government’s intention that the fundamental principles, obligations and rights that organisations and data subjects have become familiar with under the GDPR will stay the same, so that the UK data protection framework continues to ‘operate effectively’ post-Brexit. The Information Commissioner’s Office (ICO) has published data protection guidance (available here) to help businesses, particularly small and medium-sized enterprises prepare for a no-deal Brexit. The guidance includes a ‘Six Steps to Take’ guide on the effects of data protection if there’s no deal and a general overview of data protection rights post-Brexit in the form of FAQs. The Department for Exiting the European Union has published a policy paper, available here, outlining the Government’s plans for protecting citizens’ rights in the event that the UK leaves the EU without a deal in place. The paper states that in the event of no deal that EU employees resident in the UK by 29 March 2019 will be able to work and live here. The policy paper states that only those EEA citizens resident in the UK by 29 March 2019 would be able to apply for settled or pre-settled status. They would have to do so by 31 December 2020, rather than by the 30 June 2021 deadline that would apply if a formal implementation period is agreed. The policy paper also calls upon the EU Member States to take similar steps to reassure UK nationals in the EU that they can stay and have their rights protected in the no deal scenario. The Department of Work and Pensions (DWP) has published guidance (available here) explaining the benefits and pension rights of EU citizens in the UK if no deal is agreed before 29 March 2019. EU citizens will still be able to transfer benefits abroad as long as the benefit is already in payment to recipients residing in EU counties and if those recipients still meet the entitlement criteria. However, the entitlement may change in the future if domestic policy for UK nationals change. 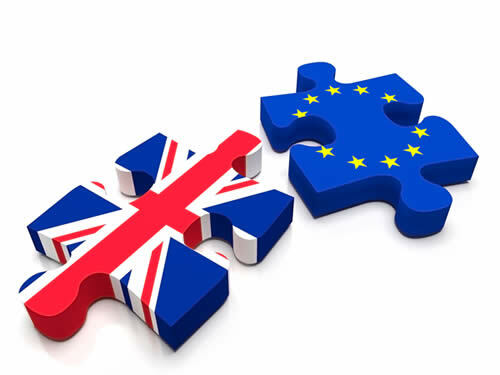 Regarding EU citizens who move to the UK after 29 March 2019, the DWP noted that options were still being considered on whether these citizens could claim benefits if the UK leaves the EU without a deal.